When I was a young lad, one of the things that would excite me was stories of pirates and murderous ‘cut-throats’. At the age of ten, the idea of a ‘cut throat’ was somehow synonymous with a quick death. Fast wind forward a decade or so (ahem, well maybe more) and I’m reflecting on some of the more interesting cases of 2011. Anyhow, this chap’s assailant had obviously either been on an EMST course or had performed percutaneous tracheostomies in the ICU – because with just a broken beer glass, he’d managed to make a perfect incision in the victim’s trachea, between 2nd and third tracheal rings. OK, not the cricothyroid membrane, but otherwise a damn near perfect tracheostomy! So we took him upstairs and performed an awake fibreoptic intubation with a surgeon scrubbed and ready to perform a tracheostomy. And the patient did OK (had an injury to posterior tracheal wall with oesophageal perforation confirmed on oesophagoscopy, but no mediastinitis and injury healed over time in ICU). So I’ve been thinking about these sort of injuries and how best to manage them with my (limited) kit back in the bush. Although reasonably rare, both blunt and penetrating laryngotracheal injuries present difficulties for the rural GP-anaesthetist…as the airway needs to be secured ASAP. And this is not a hypothetical – such injuries are not uncommon in the bush – the classic is ‘clothes-line’ injury where a quad or trail-bike rider impacts a fencing wire at speed, sustaining tracheal injury. Add to that ‘robust’ sports, the usual gamut of farming and motor vehicle injuries..so the rural docs needs to have some form of game plan on how to manage these. And the ‘exam answer’ for ANZCA may not be applicable for the rural doctor, with limited equipment/backup. The danger of course is that attempts at direct laryngoscopy may cause complete tracheal disruption, with subsequent passing of the ETT tube down a false passage, development of subcutaneous emphysema, failed ventilation and a spiral down into demise. Every now and then, one hears of paramedics just popping a suitably sized ETT tube through the hole made in a traumatic tracheostomy – a fine strategy for the penetrating injury, but not available for blunt injury or small penetrating wounds. How then to approach this? There isn’t a great deal in the literature and my FANZCA colleagues fall back on the ‘awake fibreoptic intubation’ answer…which is fine in the tertiary centre, but impractical in a small rural hospital. So, what to do when faced with a patient with tracheal injury and needing emergent intubation (let’s assume they are becoming obtunded or failing to keep SpO2 up). My thoughts? – direct laryngoscopy. May seem controversial, but this is what I am best at and the equipment is readily to hand (ETT/bougie). However DL risks disruption of the larynx/trachea and a false passage, making further attempts at intubation impossible. – use an iLMA to maintain oxygenation – then intubate with ETT through this using either AmbuAscope or a malleable intubating stylet such as Bonfils or Levitan. To my mind the Ascope seems to offer an advantage here as could use iLMA as a conduit then follow down to carina…ensuring no false passage – then railroad ETT over the top. 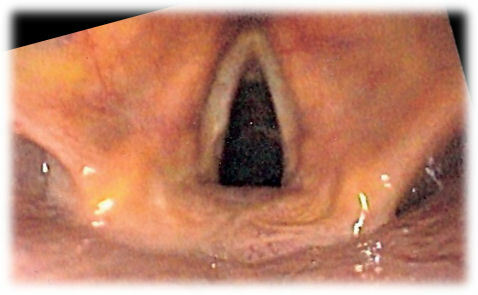 The shaped intubating-stylets allow one to visualise the laryngeal inlet..but not to insert down to carina, so potentially will intubate through the cords, but suffer false passage further down. – topicalise the airway and perform an awake fibreoptic intubation. Preferred technique of my FANZCA colleagues, but it’s hard to do enough AFOIs to keep ‘current’. Now is not the best time for a relative novice to be trying! – any thoughts on above? – gas induction or classic RSI? – what kit do you have available to assist you, either now..or planned. Well, my last post on the contract negotiations between SA Rural Doctors and the Country Health Dept was in mid-November. By way of background, the current contract was agreed in 2010 and was due to expire on 1/12/11, in part because the Rural Doctors Association SA were unhappy with the oncall fees negotiated last round. There was expectation that the current round of negotiations would yield a better oncall payment, recognising the significant impost that responding to the requirements of the public hospital has on the GP’s own private practice. Sadly negotiations have dragged on; indeed, it was only on 30/11/11 (the date of expiry of the current contract) that Country Health SA wrote to GPs stating that the contract would be extended a further three months. No reason was given for this delay, which is disappointing. In early December, the RDASA received a revised offer from CHSA – and in a news release to members on 15/12/11, the RDASA have advised that the offer falls short of what was asked for and remains unacceptable. The new contract, if it is accepted, will be for three years. I have an opinion on this, but it is vital that rural doctors consider their position should the Health Dept fail to meet the proposals of the RDASA, and the RDASA are unable to recommend the contract to members. In such circumstances it will be for individual entities to determine whether they wish to accept the contract, or negotiate separately…or withdraw entirely. Having worked in rural NSW for the past 12 months, it has been interesting for me to compare terms and services between this State and South Australia. Certainly there appears to be less bickering over cost-shifting, with the NSW Health Department paying the doctor if he/she is called to attend as part of his/her duties oncall for the hospital – rather than the obfuscation in SA. Of course, such differences play a factor in recruitment and retention of rural doctors. As a GP-proceduralist, I am certainly tempted by better money interstate, the chance to live in a coastal town and most importantly by a hospital that continues to provide obstetric and anaesthetic services. To be offering a newly-announced ‘rural proceduralist’ pathway in SA, yet failing to nurture the relationship between rural doctors and CHSA seems tautologous. Let us hope that CHSA will recognise the value of the rural medical workforce before it is too late. Well, had my viva for the JCCA anaesthetic credentialling earlier this week – glad to report it was successful. Four more weeks to go in Orange NSW then I’m headed back to Kangaroo Island with anaesthetic credentials under my belt. Now, where’s my fibreoptic scope and some local anaesthetic spray? I’ve gotta try this at home.